We had just returned from a ten day visit to Egypt, so we decided to spend New Year's Eve in our apartment in Brussels. We bought fresh Maine lobsters at a stand in Place d"Jourdan. 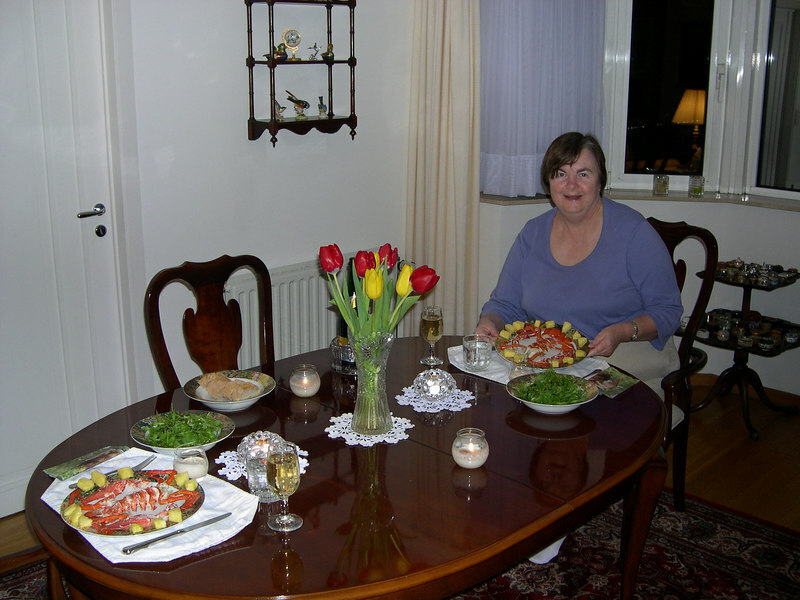 Susan cooked and shelled them, and arranged the lobster meat artfully on a plate. It all looked so good that she asked me to take some pictures. Happy New Year's, everyone! Susan getting ready to celebrate New Year's Eve at our apartment in Brussels. We have been here three years, with one more year left in Susan's term, and the time continues to fly past!